Okay, so it's not quite as exciting (or instantaneous) as the Disappearing Cat Trick (the top photo was taken back on May 25th, the second one yesterday), but still. . .
Can you make your spots disappear? 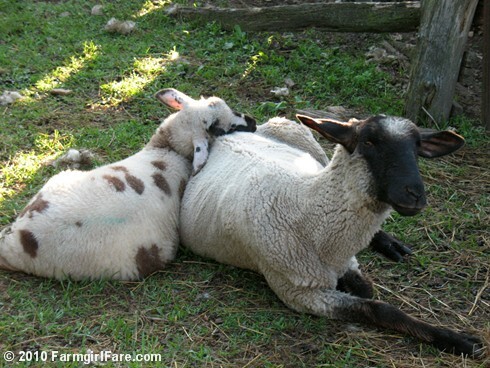 © Copyright 2010 FarmgirlFare.com, home of the World's Best Pillows (and lots of 'em!) 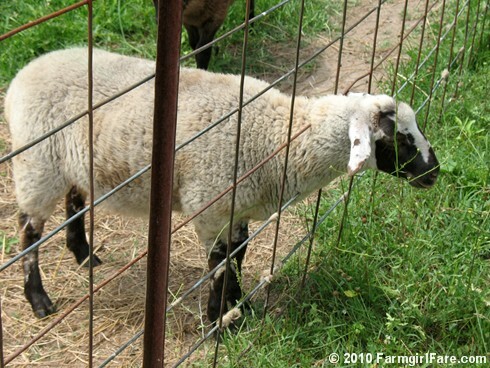 foodie farm blog where it doesn't matter who you are or where you're at, the grass is always greener, sweeter, and so much tastier on the other side of the fence—even if you were just on the other side of the fence. Obviously, it's quite magical on the farm. Those sheep are so sweet - spots or no spots. Wow, love your blog! I discovered it while googling "cilantro and parsley" and found your cilantro garbanzo bean salad from last year. I wanted to share this quote with you, which I also stumbled upon today (via google, google unites all lol) . 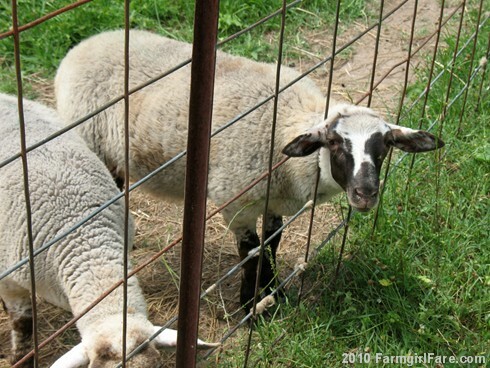 "The grass is not always greener on the other side of the fence. Fences have nothing to do with it. The grass is greenest where it is watered. When crossing over fences, carry water with you and tend the grass wherever you may be." It is by Robert Fulghum and your own quote reminded me of it. 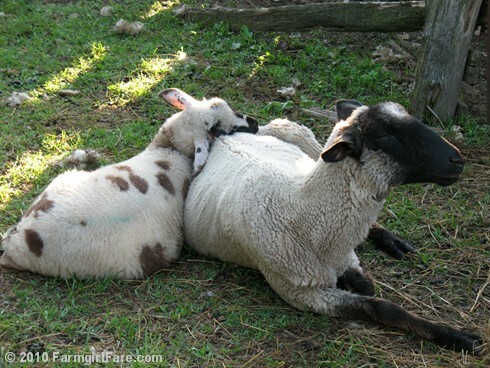 :) Those sheep too cute! a quick note, made the no-nead bread from new york times 2006 that you showed us a while back. It was so good my kids didnt believe I made it! Mixed 3 ingredients the night before, came home from work, shopping with kids, didnt wait the full 2hrs rising time, put in terracotta dutch oven, it couldnt be easier. Thanks. Dream of getting my boys back on a farm one day! just ran across this, so cute, i want to join in for a snuggle. found you through your gardening blog.